Dust? Really? What is going on? What happened to wine? 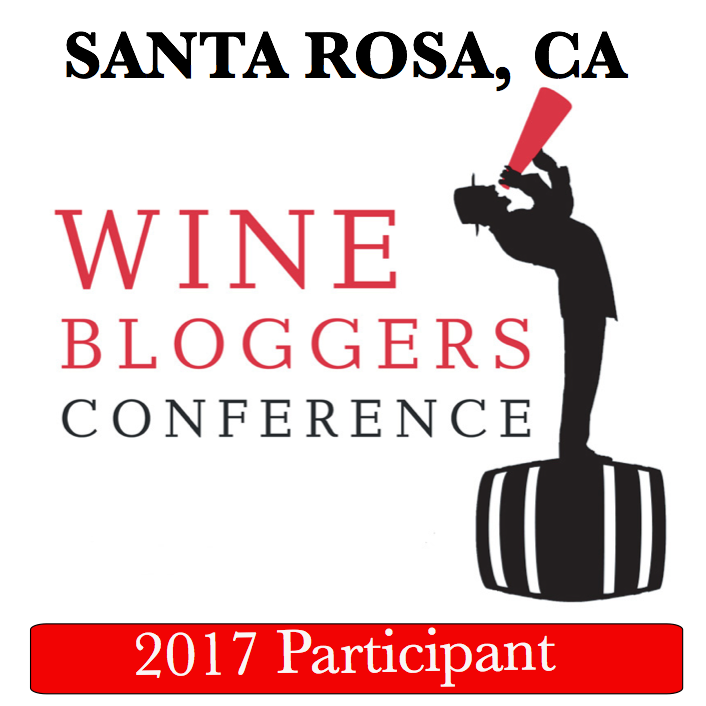 Trying to figure out if you are in the right blog? Don’t worry, you are. But – actually, I intend to talk about dust – Rutherford Dust it is. Have you heard this expression before – Rutherford dust? This is the terminology often used to describe mouthfeel of the wines made in the Rutherford AVA in Napa Valley. Some say it is the taste, some say it is the texture – it seems that Rutherford dust means different things to different people. But as a common ground, people agree that wines of Rutherford AVA have some qualities which are not found among the wines from other areas of Napa Valley. Andre Tchelistcheff, legendary winemaker of Beaulieu Vineyards and one of the founding fathers of California wine industry, is usually credited with coining the term “Rutherford dust”. 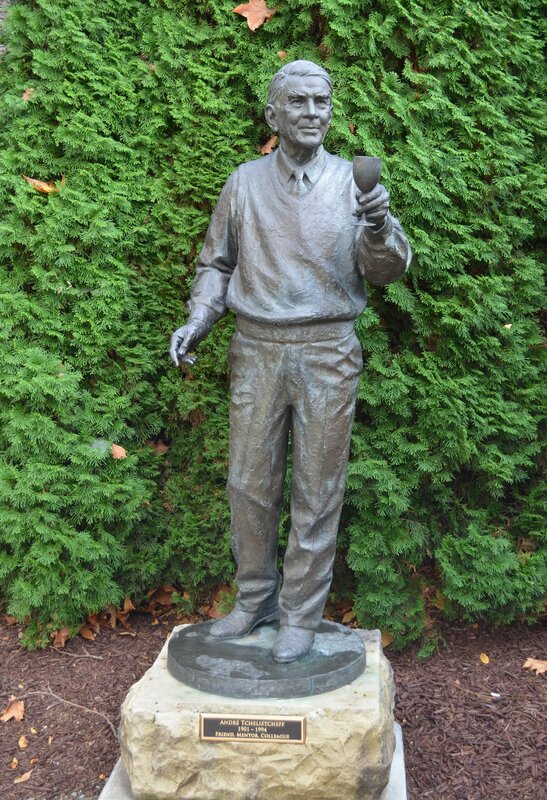 Interestingly enough, according to this article, Tschelistceff only referred to the Rutherford dust as a terroir, but – you will need to let your taste buds to guide you to argue that point. 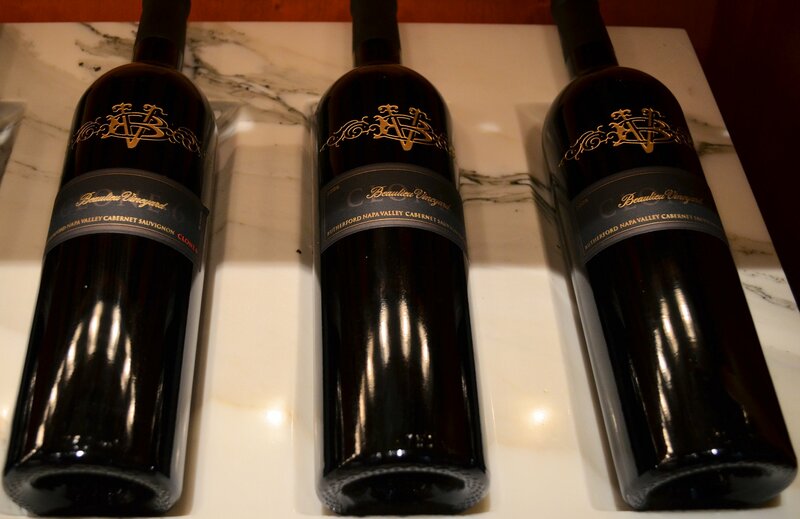 BV makes a number different lines of wines, starting from introductory BV Coastal, going to “Maestro” series, which is available only at the winery or through the club, and continuing to the Reserve line. We tasted through the whole Reserve line, and these are the notes I want to share with you. We started with 2009 BV Carneros Reserve Chardonnay, which was beautiful, round and clean, with just enough of vanilla and butter to maintain balance. Next we tried 2010 BV Carneros Reserve Pinot Noir. Actually, I had no idea BV even makes Pinot Noir- but now I know, and I will look for it. This wine was beautiful, round and polished, with restrained fruit, silky smooth tannins – very balanced and very drinkable. 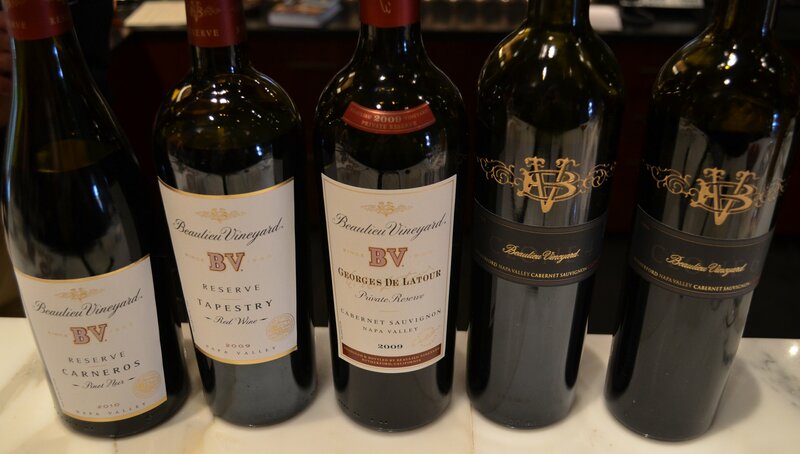 2009 BV Tapestry Reserve – a classic Bordeaux blend of Cabernet Sauvignon, Merlot, Cabernet Franc, Petite Verdot and Malbec – was outstanding, perfectly Bordeaux style, but softer, more approachable. Then we tasted 2009 Georges de Latour Private Reserve Cabernet Sauvignon – and it was the moment when “Rutherford dust” went on like a light bulb in my head. I only heard the expression before, but never experienced it – and until I tasted this wine, I had no idea what the Rutherford dust is. This was probably single best Cabernet Sauvignon I tasted throughout this year (well, almost – keep on reading). 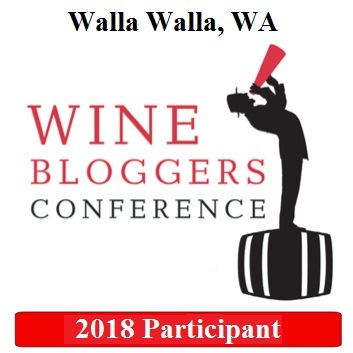 It had everything the Cabernet should have in my opinion – mint, eucalyptus, black currant, supple tannins, perfect balance – and the texture of the tiny particles on my tongue. This was my “Rutherford dust” moment – I don’t know if Andre Tchelistcheff was talking strictly about the terroir – this wine had something which I never tasted before, so for me it was that “Rutherford dust”. Again, I learned something new here. 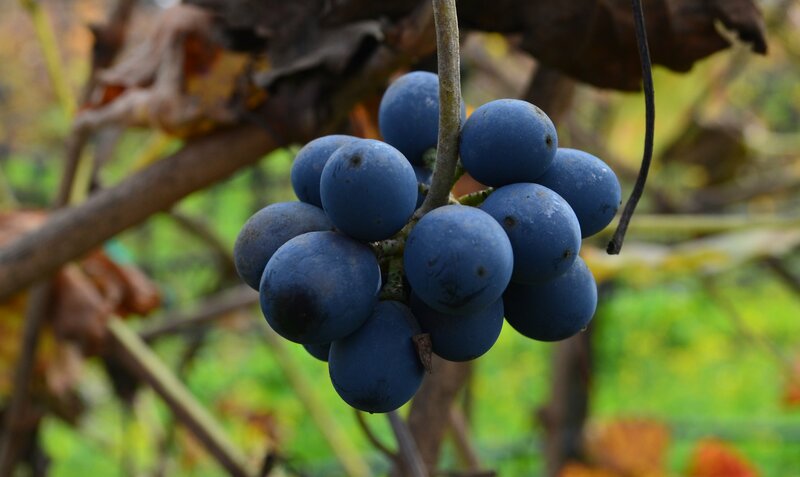 Yes, I had various encounters with grape clones before – Riesling clones, Sauvignon Blanc clones, such as soliloquy, Wente Chardonnay clone – but I didn’t have an experience with Cabernet Sauvignon clones. It appears that there are a number of the clones (here is a good link if you want to learn more about that concept of clones), all originating from the different places and thus bringing some unique characteristics to the resulting wine. We tasted 2007 BV Cabernet Sauvignon Clone 4, where the vines were originally from Bordeaux, then found home in Mendoza, Argentina, and now are officially known as Mendoza clone. 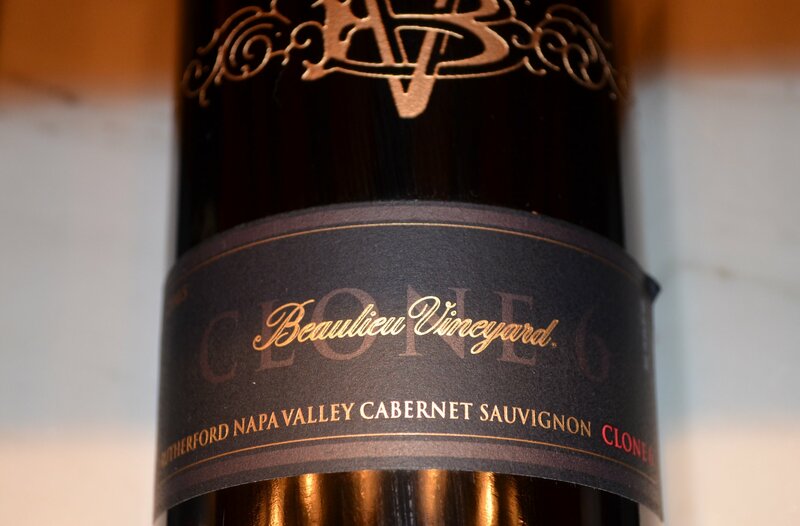 Clone 4 is a primary foundation of the Georges de Latour Private Reserve Cabernet Sauvignon, and has similar characteristics to the wine I described above. Then we tasted 2007 BV Cabernet Sauvignon Clone 6, which was just something else. 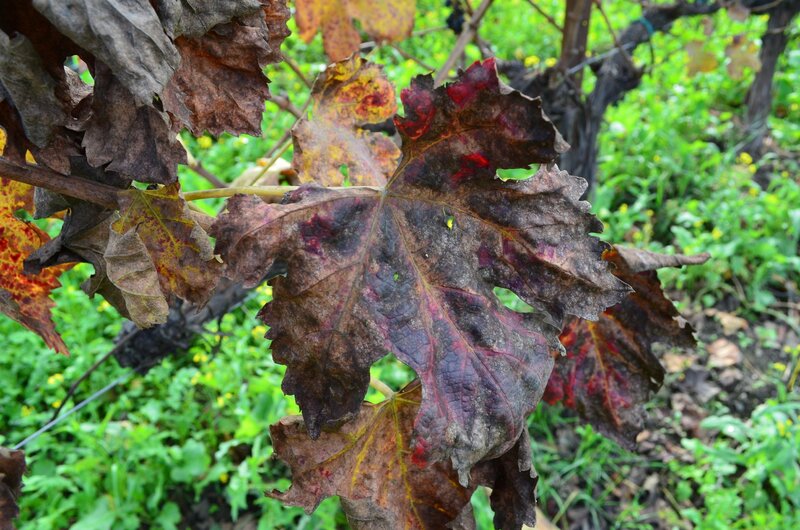 Clone 6 Cabernet Sauvignon comes from abandoned and then rediscovered plantings of Cabernet Sauvignon in Jackson, California. This wine was simply amazing, with the nose of dark roasted coffee, mocha, a touch of bitterness, silky smooth and perfectly balanced, giving you an absolutely luxurious mouthfeel. For me, this wine was definitely rivaling Georges de Latour Private Reserve we tasted before, and I already claimed that the first one was the best Cabernet of the whole year… Tough choice, huh? And then there were older vintages. 2000 Georges de Latour Private Reserve Cabernet Sauvignon had more pronounced acidity than the 2009, and fruit showed a bit tame, but overall the wine still had perfect balance and was very enjoyable. 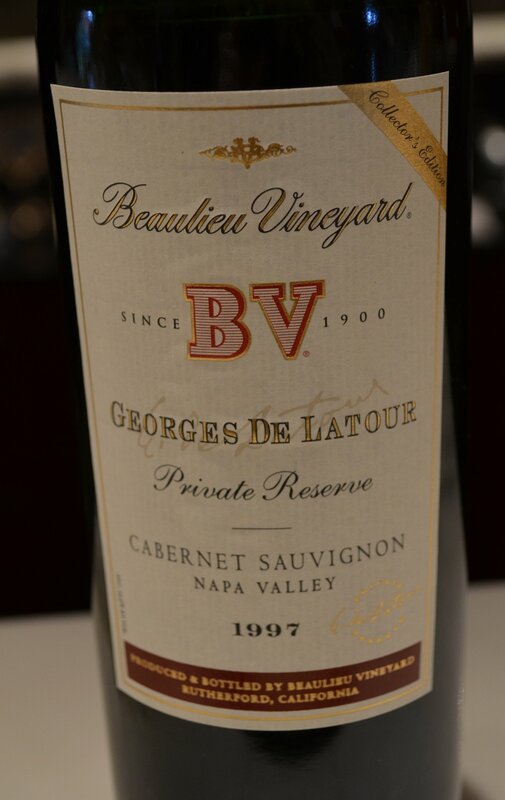 1997 Georges de Latour Private Reserve Cabernet Sauvignon had beautiful fruit, the same Rutherford dust texture as 2009, and it actually needed time to open up, as the bottle was freshly opened. 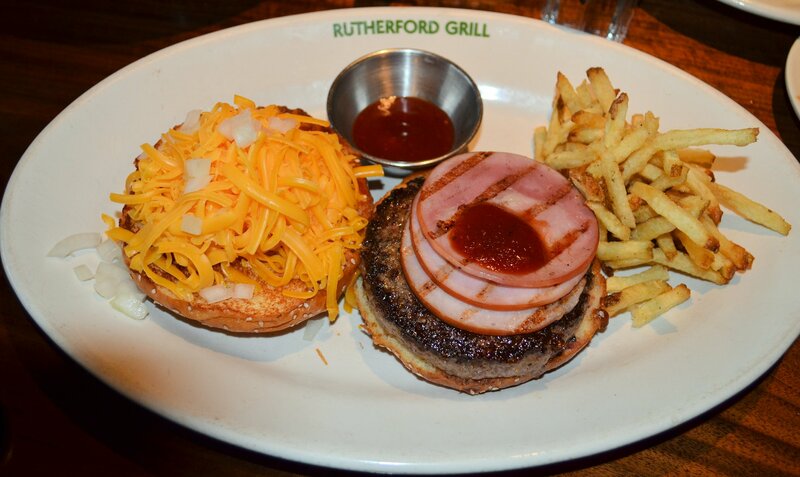 Our next stop was for lunch, and we simply had to walk across the parking lot – to the Rutherford Grill. 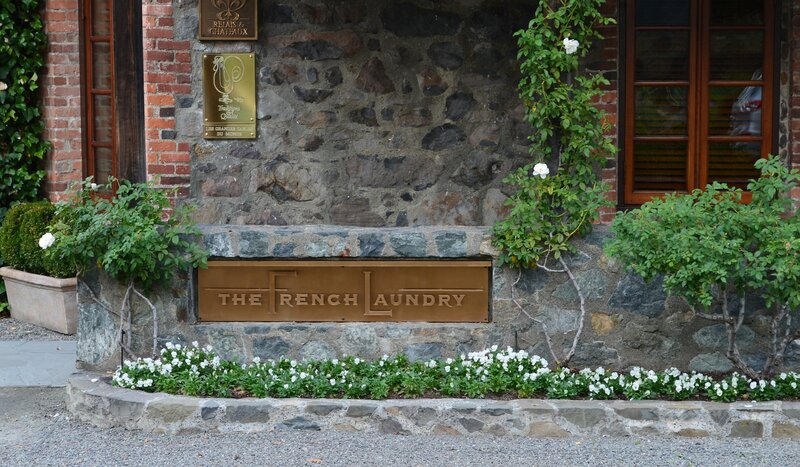 I heard the name before, but never visited it, so it was very exciting to try one of the Napa Valley well-known restaurants. 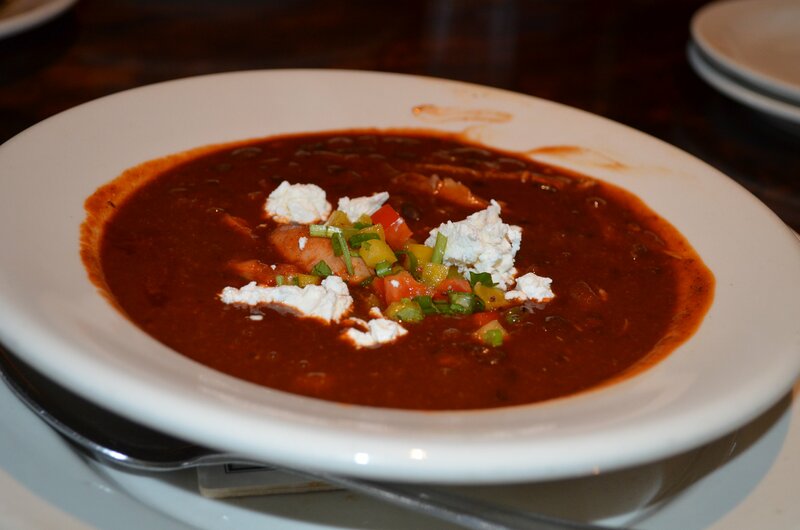 To give you a quick summary, the food, service and atmosphere were all great – you should definitely put it on your destinations list if you will be in the area. 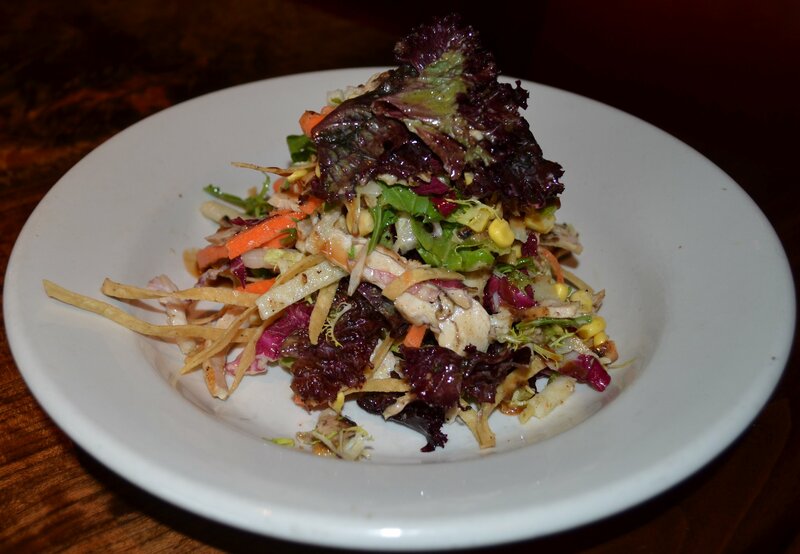 Here are few of the food pictures. 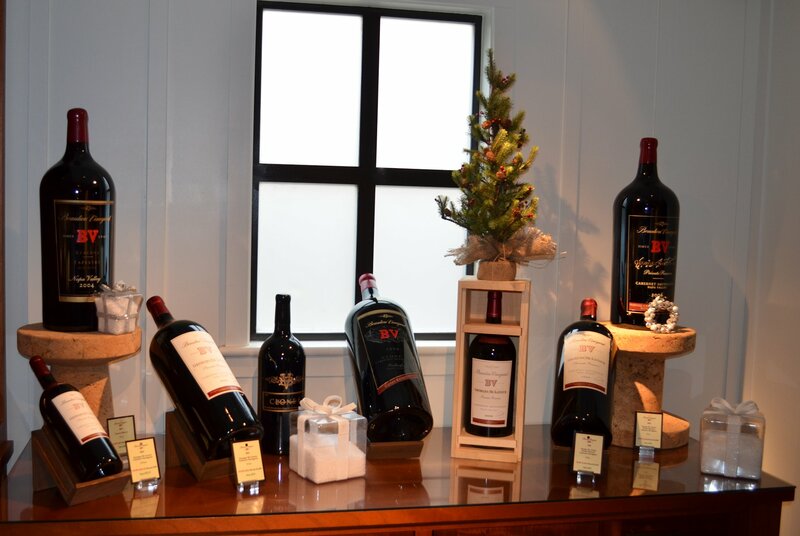 After lunch, we made another stop for tasting – this time at Provenance vineyards. We tasted through the whole portfolio of Provenance and Hewitt wines – and while some of them were good, overall they were not anywhere close to the BV experience, hence I will skip the write up. That’s all folks – this was my experience with the Rutherford dust. 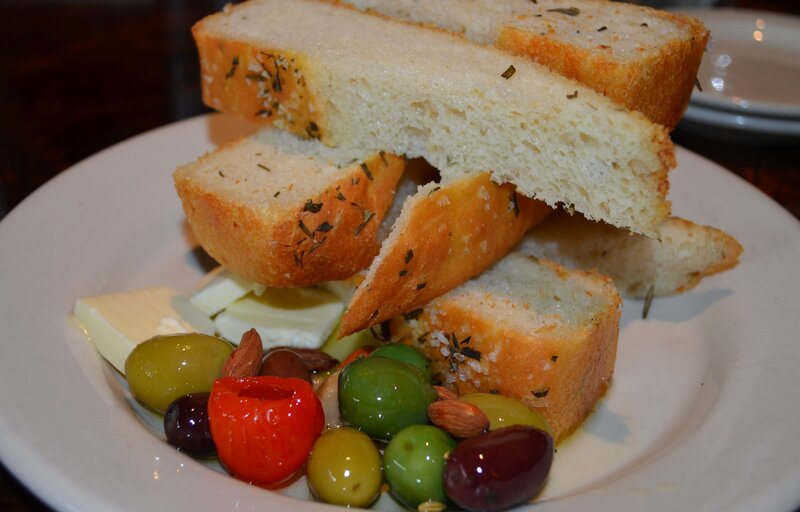 Have you tried the wines from Rutherford or may be even the same BV wines – what do you think? Did you taste the dust there? Cheers! 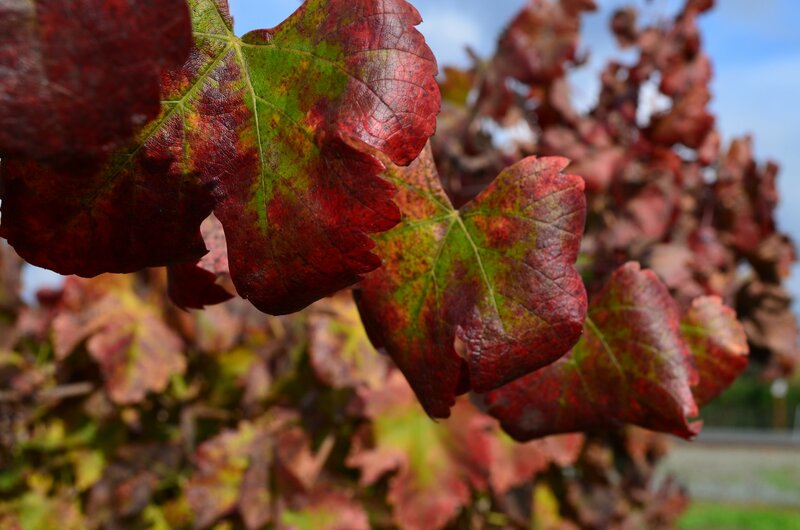 Oh my, vineyards in fall are to die for. Sounds like an amazing experience. 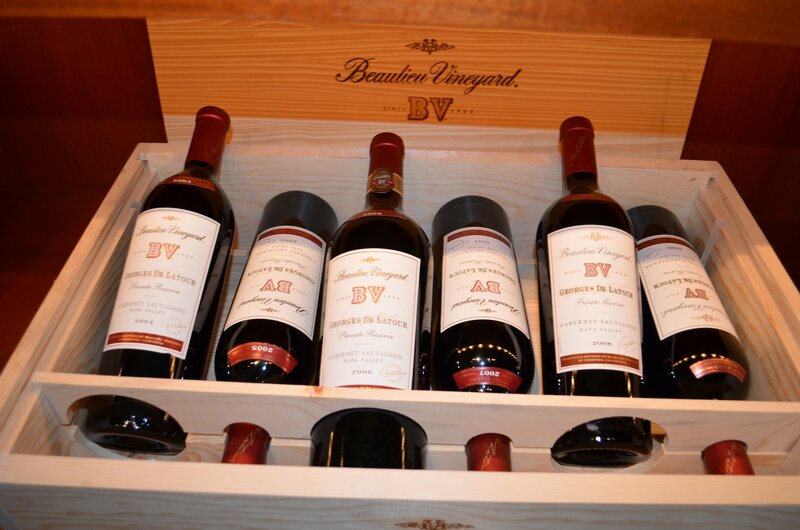 I have never experienced the Rutherford dust – but also only know the entry level BV wines, which I enjoy. 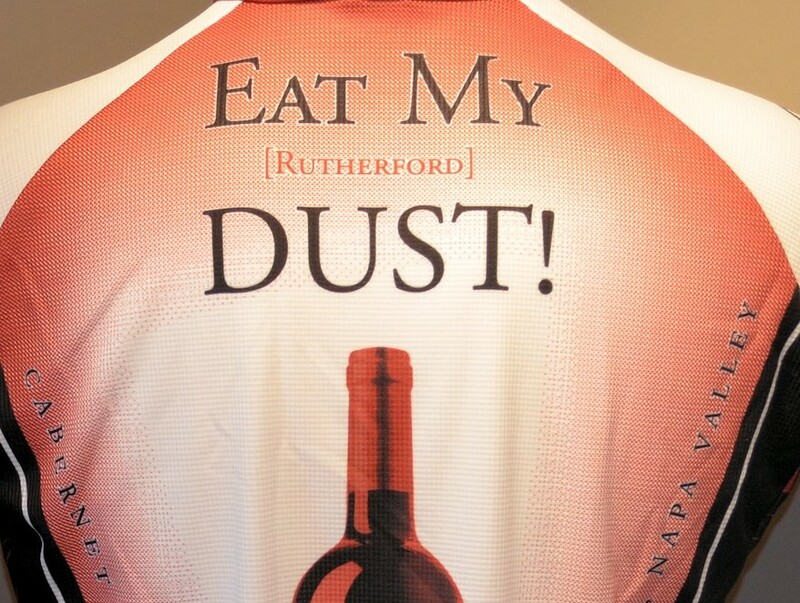 Looking forward to discovering “dust” in my Rutherford wines. great pics! 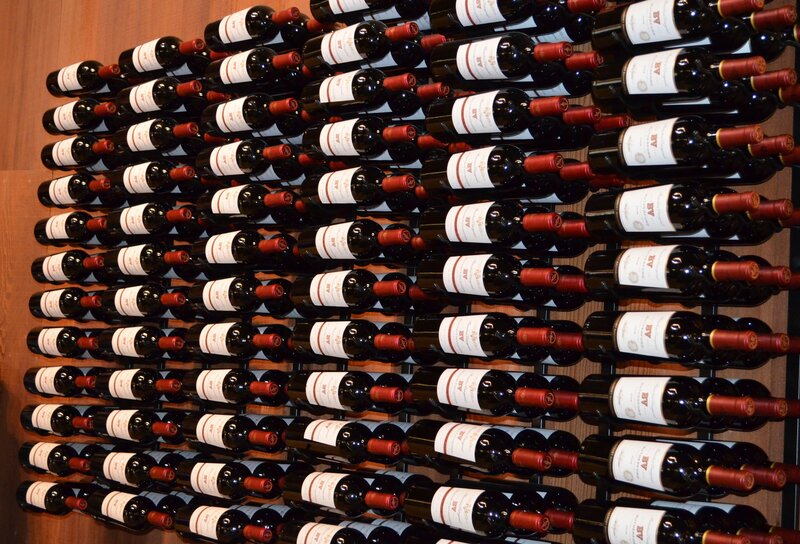 I have a 1988 and 1979 Georges de Latour in the cellar–when you coming over? Going to hols you to it! Going to hold you to it! Second Dozen (And Some) of 2012 Merry Christmas!